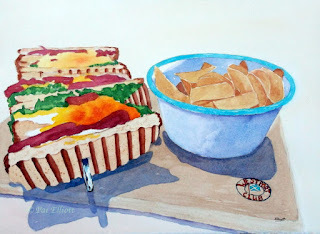 Another food painting, from a meal served to my husband in 1B Westport Cafe. I am delighted to say that this, together with The Westport Club, The Westport Oyster and the The Westport Special will soon be hanging in 1B Westport Cafe, in Cupar, Fife. painted on my favourite watercolour paper, Saunders Waterford, by St Cuthbert's Mill. There's an award winning cafe in Cupar, Fife called 1B Westport Cafe. 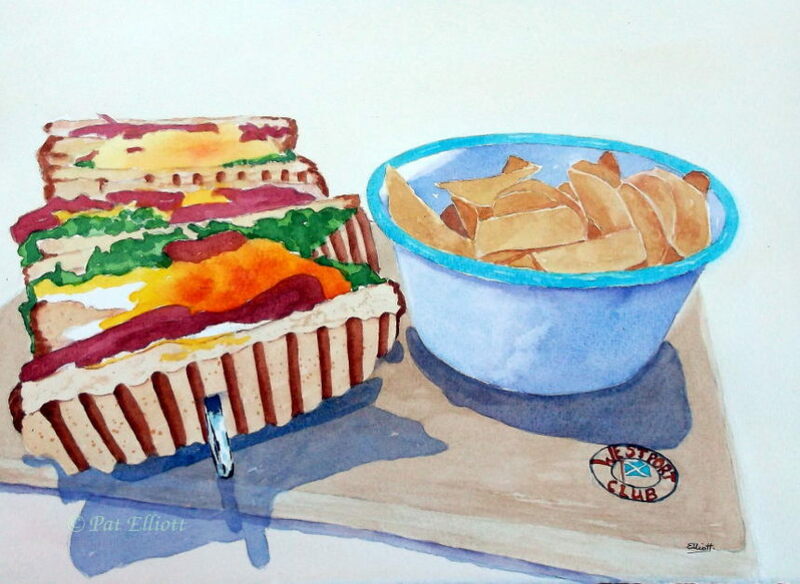 This is one of their most famous lunch dishes, the club sandwich, painted in watercolour, by me! If you visit Scotland, be sure to drop in to Cupar and try one for yourself! 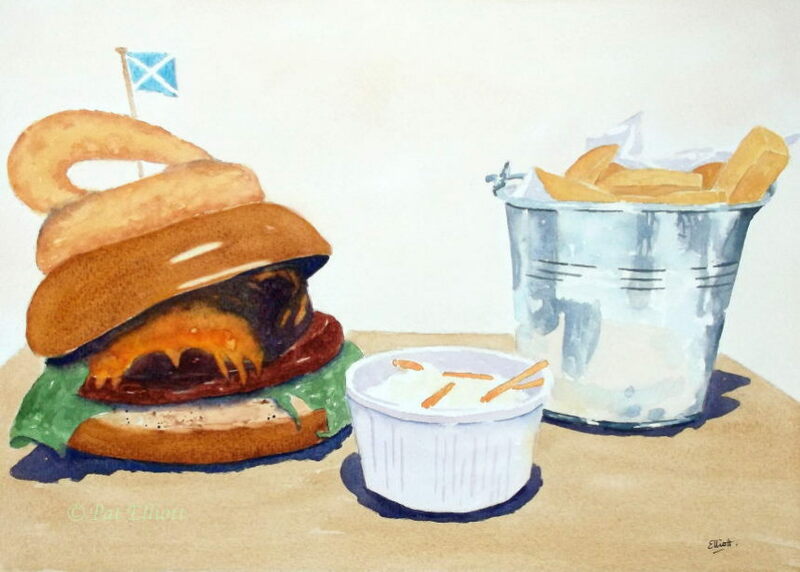 painted on Saunders Waterford 140R paper, from St Cuthbert's Mill. This is a watercolour painting from my imagination, of a galaxy in space. 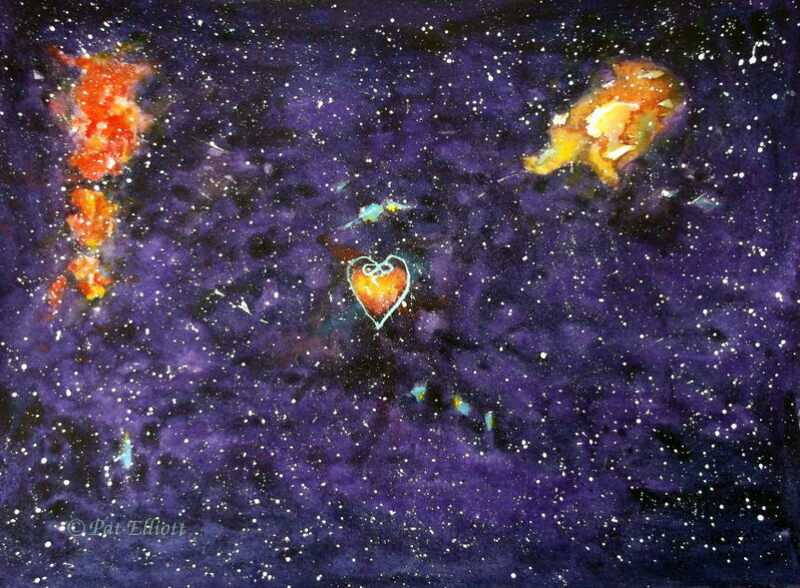 I put in a heart and the infinity symbol, intending to give it to my husband as a Valentine's present - but he surprised me by asking for a bright coloured painting! So there'll be another one to show you soon. 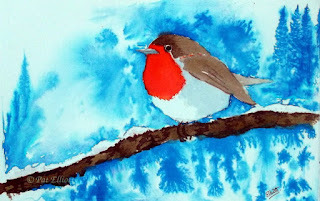 This little robin was created in drawing inks and water. We see a little family of robins visit our garden - and when I wanted a subject to try out my drawing inks on, a robin sprang to mind.